This article first appeared in The Edge Malaysia Weekly, on November 26, 2018 - December 02, 2018. 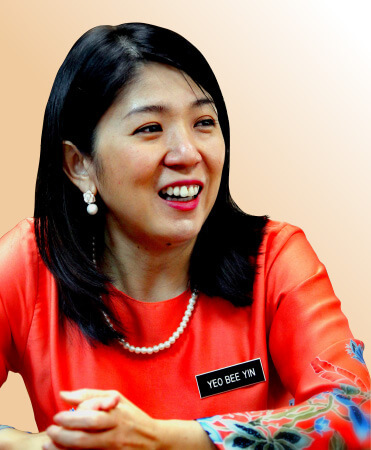 LESS than two months after she was sworn in as the Minister of Energy, Science, Technology, Environment and Climate Change, Yeo Bee Yin gave the power generation industry — long regarded as the hunting ground for the country’s tycoon cronies — a rude shock. She announced that the government had decided to terminate four independent power producer (IPP) projects that were awarded by the previous government through direct negotiations and to review another four. The reason given was that there would be overcapacity in the future and that the country’s reserve margin would increase to above 46% if nothing is done. Ironically, it was Tun Dr Mahathir Mohamad, when he was the prime minister for the first time, who gave birth to IPPs in the mid-1990s when there was a pressing need to rope in the private sector to ensure electricity supply security after several power outages. Power purchase agreements (PPAs) at the time, which are now known as first-generation IPPs, were awarded through direct negotiations by the Economic Planning Unit (EPU), which then became the tradition in the industry. Now, under the Pakatan Harapan government, Yeo, 35, is seeking to reform the power industry by growing the pie and dividing it among more parties, not just the IPPs. Certainly, her ambitious plans involve more than just fine-tuning the fuel mix and pushing renewable energy. From the looks of it, the termination of the four IPP projects is a baby step towards more drastic changes in the future. Yeo, a chemical engineer by training, warns of disruption ahead in the industry. In other words, the IPPs are facing a vastly different reality going forward. Gone are the days of easy money. The minister has stated unequivocally that future power-generation projects will only be awarded through open tender, where bidders will have to compete on different fronts. “I would say that in the next 5 to 10 years, the electricity industry will no longer be that boring. We will also see an increase in the pie because of the EV (electric vehicle) uptick,” Yeo tells The Edge. Technology and innovation were probably not the focus at the negotiating table of old, with the seasoned players unlikely to have linked them to electricity production. Bluntly put, risk-proof PPAs probably topped the agenda in the direct negotiations, which is clearly illustrated by certain terms in the agreements. For example, as the sole off-taker, Tenaga Nasional Bhd (TNB) bears the fuel costs incurred by the IPPs, who also enjoy guaranteed internal rates of return regardless of their efficiency. The minister is not limiting disruption to the power generation segment. Indeed, she is looking at improving efficiency across the supply chain, including transmission and distribution, which are currently under the control of TNB. Yeo also believes that changes are needed at the utility giant and not only power generation could be opened to third parties (see accompanying story). “At the moment, ours is a normal grid. But we want to move to a smart grid. Why? So that more people will be able to produce their own electricity,” she explains. According to Yeo, the reforms will revolve around two objectives — optimising the reserve margin and minimising system costs. She reactivated the Malaysia Programme Office for Power Electricity Reform (MyPower) in order to draw the road map to drive the reforms. Yeo says MyPower’s role is to handle the market infrastructure planning, namely power generation, transmission and distribution, which make up one-third of the electricity tariff. “One-third of your electricity bill is [for] system costs. That means the PPAs and so on. Two-thirds of it are actually from fuel costs. So, whenever we talk about tariff rates, we are talking about market structure. Market structure is one-third of your electricity tariff,” she explains. When talking about the electricity tariff, Yeo points out how vulnerable it is to fluctuations in the price of fuel, particularly coal. “We are heavily reliant on fossil fuel. We’ll always be susceptible to global fuel prices. This is because 48% of our power plants are coal-fired. And then, more than 40% are natural gas plants. So naturally you are very susceptible to this no matter how efficient your market is or how well you plan your infrastructure ... We are talking about at least more than half of your electricity bill [being dependent] on something that you cannot control,” she says. She stresses that it is essential to push renewable energy in order to diversify the country’s fuel mix for electricity production. The ministry is aiming for RE, excluding large hydro, to compose 20% of the country’s generation mix by 2025. If large hydro is included, the composition would be 40%. To Yeo, RE is not only about reducing carbon emissions. It would also help stabilise the electricity tariff, considering that power production costs are dictated by the fluctuation in fossil fuel prices. Few would argue against the ministry’s push for more RE in the country’s fuel mix for power production. That said, concerns remain about its reliability, particularly when the layman has little knowledge of the technology. Cost is another area of concern as sunshine and rain, like the movement of fuel prices, are beyond human control. This means the country will need to keep a supply of fossil fuel on standby to make up for any shortfall in RE due to weather conditions, among others. Idle capacity would add to costs, some quarters say. Yeo counters that RE technology is advanced these days. Reliability was a concern 10 years ago but not now, she adds, pointing out that many countries have already moved beyond Malaysia’s target of 20%. According to her, offshore wind has become more competitive than natural gas in the UK. “Things like this happen — and because technologies allow a new mix to come in. We must not be fixated on one technology and plan [with it] for the next 25 years. “We must be open to planning. That’s why every half year, we review the generation mix according to the technological trends and costs,” says Yeo, who strongly believes technological advancements will make Malaysia’s RE goal possible and viable. By the same token, she acknowledges that RE cannot be the baseload, which means fossil fuel will remain important, at least in the near future. “RE, excluding large hydro, is intermittent. When it is intermittent, you cannot rely on it as a baseload in your energy planning. Technically, you will still need a large fossil fuel base. At present, RE storage is still not cost-competitive. But that doesn’t mean things will not [improve] in four or eight years’ time. According to Yeo, a recent study shows that Malaysia can actually increase its intermittent RE to 35% without affecting the loss of load expectation (LOLE) of the system. It took longer than expected for the minister to reveal the four IPP projects that have been cancelled. They are Malakoff and TNB’s 700mw gas-powered plant in Kapar, Selangor; Aman Majestic Sdn Bhd and TNB’s 1,400mw plant in Paka, Terengganu; Sabah Development Energy (Sandakan) Sdn Bhd and SM Hydro Energy Sdn Bhd’s hydropower plant in the Palm Oil Industrial Cluster (POIC) in Sandakan, Sabah, and the solar power quota of 400mw to Edra Power Holdings Sdn Bhd for the utilisation of the solar power plant. The names were only revealed in late October instead of end-July as promised, prompting speculation that Yeo might have had to clear several hurdles in the bold move. “There was a due process that we needed to go through in identifying and cancelling the IPPs,” says Yeo when asked if the cancellation was harder than she had anticipated. She brushes aside the notion that she was being idealistic when she first announced the cancellation of the projects. “Sometimes, things take a longer time to do. But that does not mean that it cannot be accomplished. We are still looking at the IPPs, whether they are new or are expiring soon. Yeo has implemented an industry rule that no PPA will be awarded through direct negotiations. Former prime minister Datuk Seri Najib Razak had promised the same but he did not manage to take the path that would have improved efficiency and delivered cost savings. Whether the new government has the political will to reform the contract award system will certainly be closely watched.